My collection of books that I enjoy reading and re-reading. Some books are just that good! I love to read, especially while drinking a cup of tea! There are several books on my shelf that I really enjoy re-reading. Of course it's always good to read new books, but there's a different experience to be had reading a book that you just know you're going to enjoy because you've read it before! So this is a collection of books that fall into that category for me. There's really nothing like sitting down with a lovely cup of tea and a good book! Now the good book can vary from a new book by an author I've just come across to any kind of book that I've read many times and enjoy re-reading over and over again. 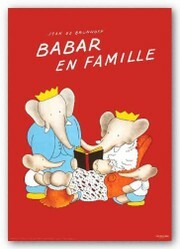 And I just had to include this picture of Babar the Elephant with his family - his wife Celeste is reading to them all! 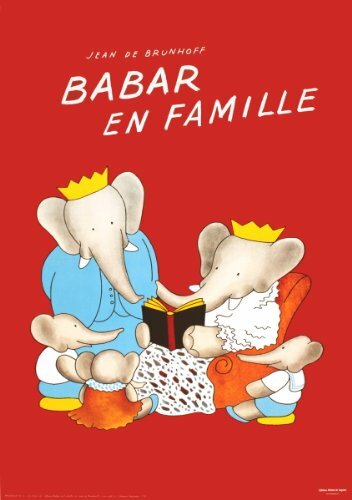 Babar was one of my childhood favorites. My father used to read his stories to me when I was little. I still remember the characters with great fondness. I Love to Read and Re-Read! I enjoy many kinds of books. Some are my "summer reads" that are the kind you borrow from the library and are happy to give back when you've finished them. Some are the exciting kind that tell a story that you are just enthralled by and you can't put the book down till you find out what happens. But you might not want to read those again because you already know what happened! And then there are the kind of books you just want to keep on the bookshelf and be able to pick up again any time and re-read them. There just is something special about sitting down and re-reading a favorite book. They bring alive worlds and people that you have come to love. This is the kind of book I'm talking about here. In my case they include British and American authors, men and women authors, historical and futuristic tales, and more that I will have to add later! I tried to make a real old man, a real boy, a real sea and a real fish and real sharks. But if I made them good and true enough they would mean many things. I know people read much into this story, and I appreciate that. And I'm sure that Hemingway intended much to be read into it. But, for me, I enjoy how real it all is too. I love the way I can smell, almost taste, the ocean while Santiago is out fishing. The description of how he fights the huge marlin, a worthy adversary, and wins is so gripping. And I always cry at his brave brave attempts to fight off the sharks and bring his amazing catch home. And the humanity of the boy, Manolin, who was forbidden to go fishing with the unlucky old man. He cries when he finds him safe asleep back home after that incredible and still, in practical terms, unsuccessful adventure. And then says he will go fishing with him again. 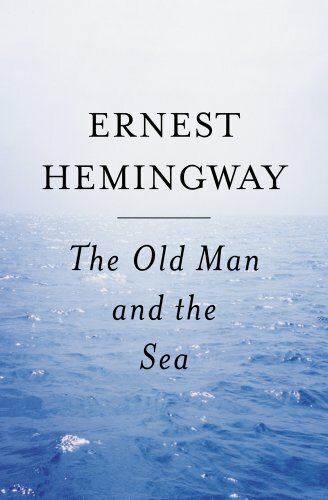 My Review of "The Old Man and the Sea"
My Review of Ernest Hemingway's classic story, "The Old Man and the Sea." A deceptively simple short tale that captures the imagination and inspires deep thoughts. I have to admit that I'm not really a fan of Charles Dickens, even though I'm a Brit! Maybe that's partly why; we did have to read several of his books in high school. 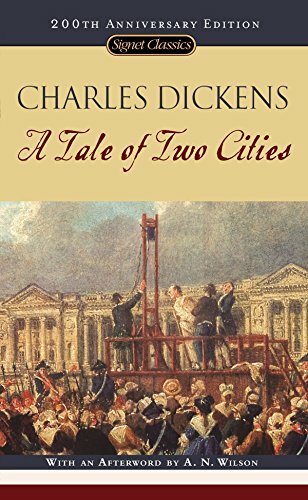 This one, though, "A Tale of Two Cities," captured my imagination, and belongs on my list of books I love to re-read. It's set in a historical time, one that I didn't really understand too well until I read this book. The image of Madame Defarge, the tricoteuse, sitting beside the guillotine during the Reign of Terror knitting the names of those who will be condemned to be the guillotine's next victims, is one that has stayed with me. How true really, when you read the book. There are so many moments of joy but then tragedy is right there too. The beauty and wonder of the two cities of the title, London and Paris, yet the horror of the French Revolution and the guillotine. And just as the characters in the book move back and forth across the Channel between England and France so we wonder if the best of times or the worst of times will travel with them, and ultimately affect our lives. Dickens was surely concerned with that. And her sisters join in with their views on how it is to be poor. Of course, they have a wonderful Christmas, and learn that giving to others is much more fulfilling than receiving gifts. A lesson it's always good to be reminded of! Did you ever see such roses?" asked Amy, pausing on the terrace to enjoy the view, and a luxurious whiff of perfume that came wandering by. "No, nor felt such thorns," returned Laurie, with his thumb in his mouth, after a vain attempt to capture a solitary scarlet flower that grew just beyond his reach. "Try lower down, and pick those that have no thorns," said Amy, gathering three of the tiny cream-colored ones that starred the wall behind her. Then, Louisa May Alcott does not leave anyone stranded. She concludes the second part, originally entitled "Good Wives" since it covers their marriages, in happy fashion looking forward to many more years of happiness for all the characters who are still living. 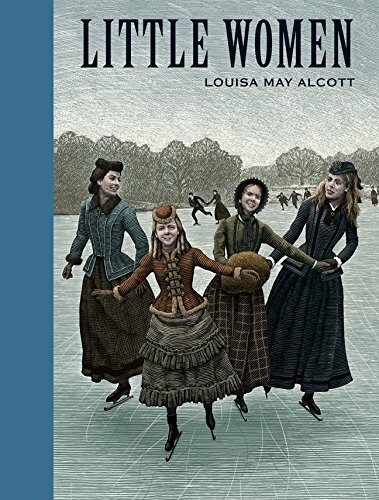 Two sequels, "Little Men" and "Jo's Boys" are also fun, but it is "Little Women" that I really enjoy re-reading the most! "Little Women" is full of so many good lessons about life, but I never feel it's preachy or get turned off by it. The girls are so real, with their different characters and struggles. I just want them all to overcome their weaknesses and challenges and succeed in life. Jane Austen is another of my favorite authors to re-read, and probably my daughter's absolute favorite (apart from the "Harry Potter" books which she likes to re-read every summer!). Her writing is actually very funny, once you realize that Jane Austen is making fun of the English society of her day. Even if the situations seem dated compared to our contemporary society, her character studies still hit the mark perfectly. So, although the social situation has changed dramatically, the age-old issues she deals with have not. 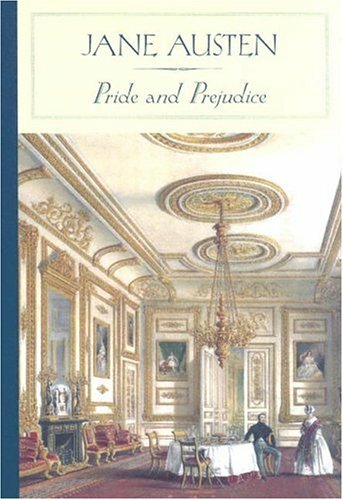 "Pride and Prejudice," my favorite of her books to re-read, is another classic with a memorable introduction. I just love "Wuthering Heights," with its wild Yorkshire moors and even wilder characters, especially Healthcliff. Oh Heathcliff! How many times as a teenager did I go to sleep imagining the ways I could comfort Heathcliff and bring him the happiness I imagined he deserved. This story is surely the greatest account of wild emotions and heartbreak that all but destroy everyone in their path. It really makes you want to get involved in their lives and help them achieve happiness! It makes you wonder what kind of life this British woman, Emily Bronte, must have lived to be able to tell such a tale. As I have re-read this book over the years, I have come to understand that the conclusion is so complete and satisfying. The characters of the next generation finally overcome the mistakes of their elders, and it seems that Healthcliff and his eternal love, Catherine, may ultimately be united in the world beyond the grave. Of course, the book is filled with dire warnings that they are both damned for living such un-Christian lives. But somehow the way the next generation fulfills their destiny seems to entertain the possibility of comforting the spirits of Heathcliff and Catherine that were wretched for so many years. In any case, when I re-read this book now I have hope for their happiness in some eternal realm. 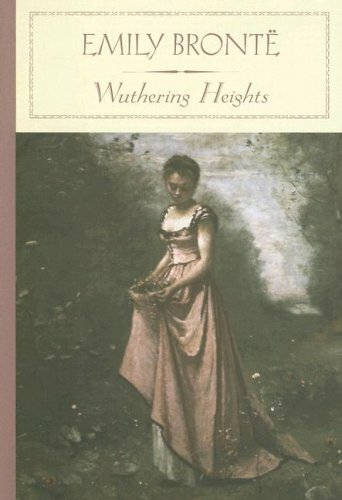 "Wuthering Heights" is one of those books where you keep wondering how any good can come of the situation. And, really, not much good does come of it all! Still, it's such a fascinating read, with such amazing characters, I never tire of it. Although there's heartbreak and horror in Charlotte's "Jane Eyre," in many ways I find it a much more peaceful book than her sister's "Wuthering Heights." In this case, the ending is clearly intended to be happy, despite great suffering on the part of the main characters to reach that point. Perhaps that is why I didn't re-read this as often in the past. But, I have to admit, Jane's story is so well told, and continues through so many different situations, it is really fascinating! 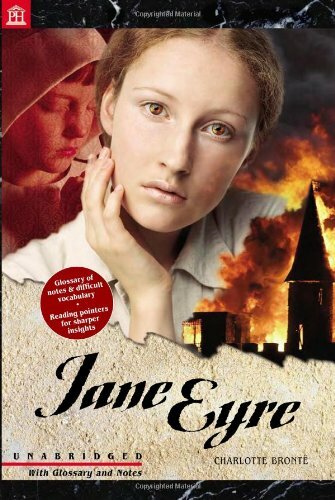 The life of Jane Eyre, an orphan who endures very difficult circumstances and becomes a governess only to have further tragedy strike, is beautifully told and haunting in its descriptions of the characters. And let's not forget the locations - from her aunt's beautiful house to the orphanage, from the expansive Thornfield Hall to the humble house of the Rivers family, all brought to life in this novel. I just loved science fiction as a teenager and college student. And Isaac Asimov had to rate up there as pretty much my favorite author. He just seemed to capture the essence of what was going to be of great significance really soon in our world. Although I love the "Foundation" trilogy, I don't actually find his "psychohistory" very plausible! I studied psychology and found there are just too many variables when we deal with human beings even for computers to handle. But I love the stories and the issues raised and explored in this series, even if not always fully answered. The three novels of the trilogy: "Foundation," "Foundation and Empire," and "Second Foundation," in one book. That's a bargain! I was, and still am, fascinated by the way Asimov separates the two developments of humankind into the external real of physical science and technology and the internal world of thought and telepathy. And then there's the whole issue of the group versus the individual, the good of the whole versus creativity. In the second book, there's a deviant, the "Mule," who takes over and almost ruins the whole plan. Some kind of "anti-Christ" it seems. Somehow, though, psychohistory predicted that individuals are needed to keep things going on the right path and humankind can't be treated just as a group. So, the good guys win, and humankind gets back on course. I like that! All was not entirely well, though, and Asimov continued beyond the original trilogy with new material. Some of this is prequel to the "Foundation" trilogy and some links to my other set of favorite Asimov re-reads - the "Robot" series. In a world in which we increasingly rely on intelligent machines, and in which artificial intelligence is surely becoming more and more intelligent, these laws are amazing insights into how human beings could co-exist with robots with brains more powerful than ours. Of course, the alternative is a "Terminator" type world run by machines! I love the way Asimov brings these laws into play through a number of short stories and longer novels. And, since the robots "live" much longer than human beings, it's wonderful how he has them interact with human beings and develop relationships with them. Definitely a series in which re-reading allows you to grasp things of significance that you miss the first time around! In I, Robot, the development of the robot is chronicled through a series of interlinked stories: from its primitive origins to its perfection in the not-so-distant future and the impact that has on humanity. Included are stories of crazy robots, mind-reading robots, and robots with a sense of humor. This Robot series of stories follows the investigations of detective Elijah Baley and his human-looking robot partner, Daneel Olivaw, as they solve murder mysteries on several colonized planets. I can't honestly say I have been a great fan of F. Scott Fitzgerald. I didn't have to read his novels in high school (not sure if that's a good or bad thing!) so I didn't actually read any till a bit later in life. I know he's considered one of the most important American writers of the twentieth century. I guess that rates him alongside Ernest Hemingway whose writing I came to love at a much earlier age (did have to him in high school!). 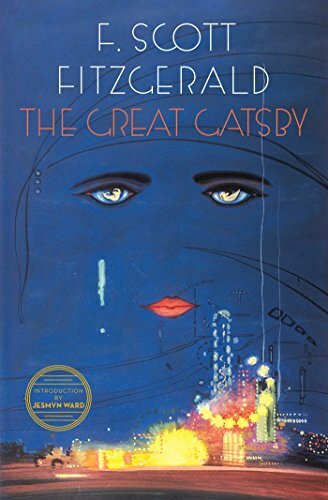 In any case, I found Fitzgerald's "The Great Gatsby" eventually, and now it's on my shelf of books to re-read. I don't know if you could call it enjoyable, but it's certainly great literature and quite a story! It's also been made into movies several times, with great (and good-looking!) actors playing Gatsby - like Alan Ladd, Robert Redford, and the latest, Leonardo diCaprio. The classic novel about "careless people" in 1920s America is certainly worth re-reading, if not requires re-reading to get the full impact. F. Scott Fitzgerald tells the story, through the narrator character, with such perfect descriptions that you really can see and hear almost smell the people, places, and events. If you're a "baby boomer" you probably remember Jonathan Livingston Seagull very well! This book appeared in the early 1970s when so many of us were searching for inspiration. Loving the uplifting message but without even understanding the religious undertones. Published in 1970, Jonathan Livingston Seagull is one of those books that are easy to read - it's really short, less than 10,000 words! And, for those who like pictures in their books, It also has wonderful photographs of seagulls flying. But this is no ordinary book, about seagulls or about flying. 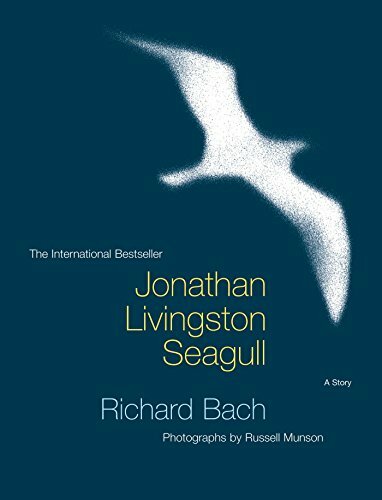 The main character, Jonathan Livingston Seagull, is a unique seagull in his flock - he loves to fly, to experiment with flight, to fly where no seagull has flown before if you will. The rest of his flock flies to find food. That is the purpose of their lives. Rejecting the law of the flock, Jonathan is outcast. But Jonathan lives on, perfecting his flying, living longer than the ordinary seagulls in his old flock. Jonathan Seagull discovered that boredom and fear and anger are the reasons that a gull's life is so short, and with these gone from his thought, he lived a long fine life indeed. Maybe the first time I read this book, I really just enjoyed that first part. However, there are two more parts. So this is not the end of the story, but only the beginning! Richard Bach continues the story of Jonathan into new realms, with new things to learn. He learns that there are no limits except those that we put on ourselves. The ultimate lesson in this amazing and wonderful allegory is that love is the key to life. Do You Have Favorite Books You Just Love To Re-read? Thanks! You're right, I should read "The Curious Case of Benjamin Button" - I've only seen the movie, which was really good but certainly sad. Nice list! Hemingway and Fitzgerald are two of my favorite authors. I recommend The Curious Case of Benjamin Button by Fitzgerald! It's hilarious and not really sad like the movie portrays. Little Women must be a great show for community theater - I wish our local group would do it! Good point, Frank. Sometimes I do just read a favorite section. Oh, I did love Jonathan! Then there was Little Women... I was fortunate enough to play the part of the youngest sister in a community theater production of the play when I was a young girl. It was absolutely thrilling! Sometimes you will read whole books again, but at others you will go back to favourite sections of a book that you enjoyed. I have re-read C.S. Lewis' Cosmic Trilogy in its entirety, but sometimes I re-read the ending of Benson's Lord of the World, which dramatically portrays the events immediately before the end of time. ... to be sure. And interestingly, these three books were introduced to me at convent school in Manchester which shaped who I am as a person in many ways. I'm sure you will find them all in your bookstore. Classics never go out of style you know! Gosh, all of these titles brought back memories! While I have not re-read them since I was teen, I have fond memories of all. I think it is time I visited the bookstore!